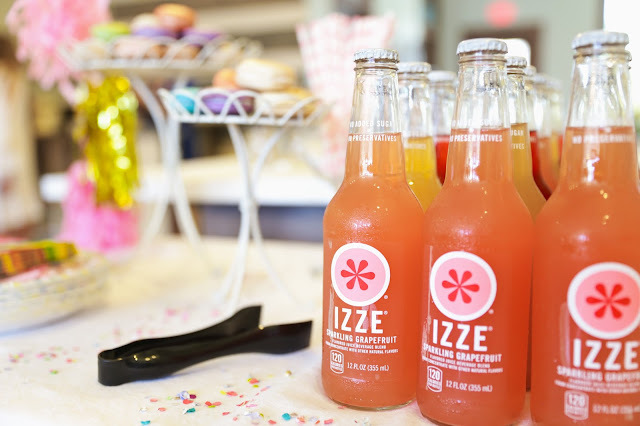 We enjoyed the best Saturday a girl could ask for, creating with the prettiest flowers early summer has to offer here in Green Bay, and you'll be amazed by what these ladies accomplished! 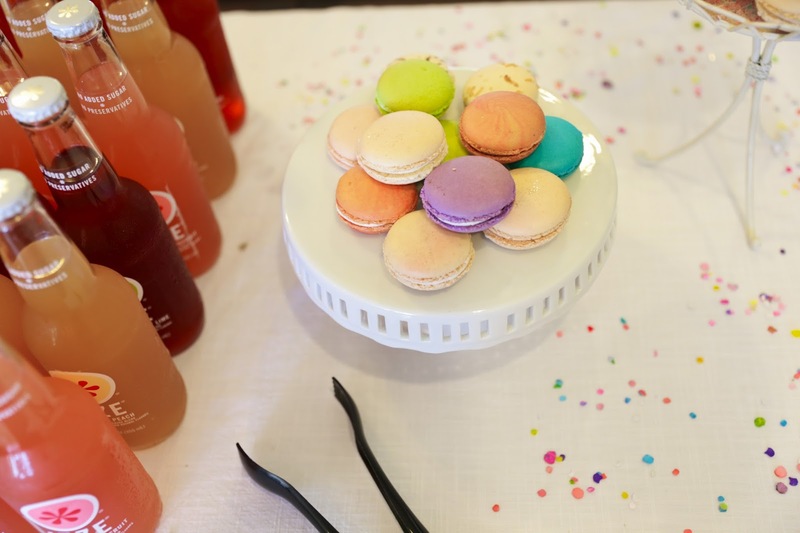 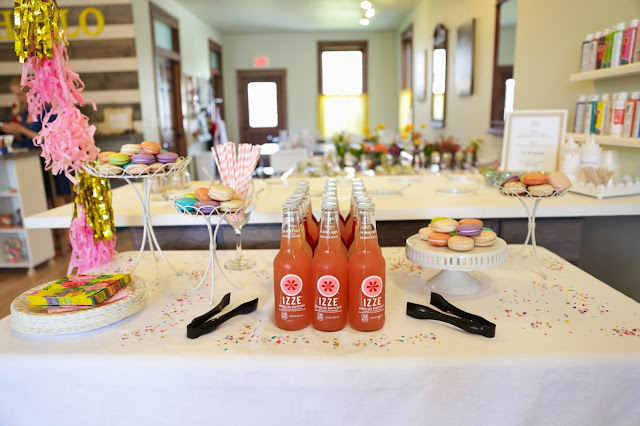 It was our summer floral workshop and we had 24 local ladies out for the afternoon, sipping fruity drinks and munching on colorful macaroons, all while hanging with old friends and meeting new. 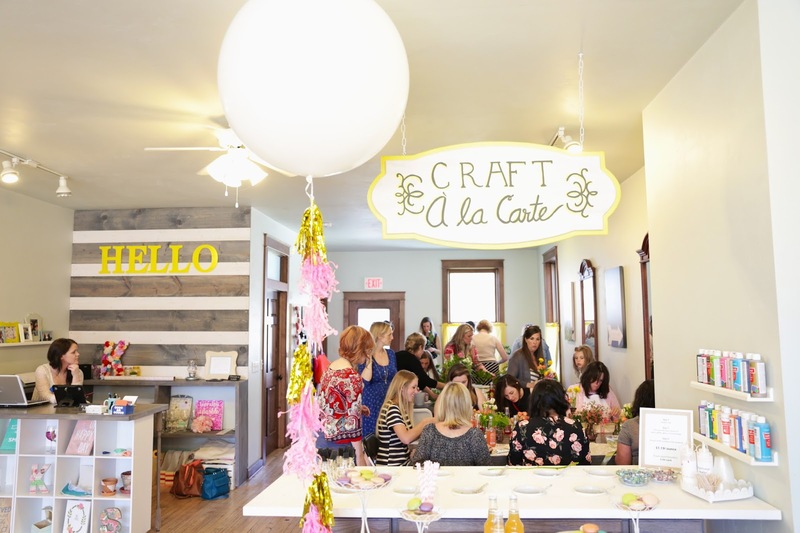 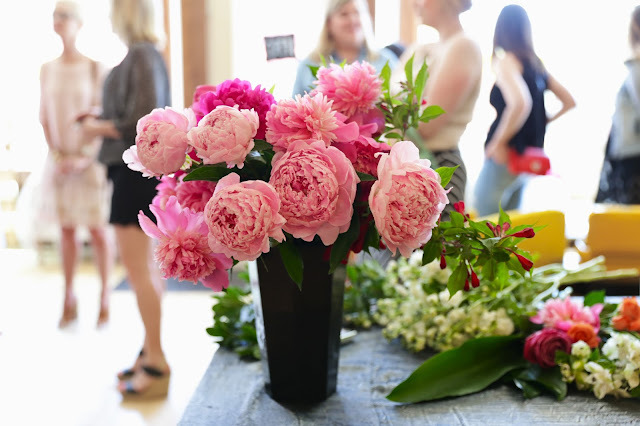 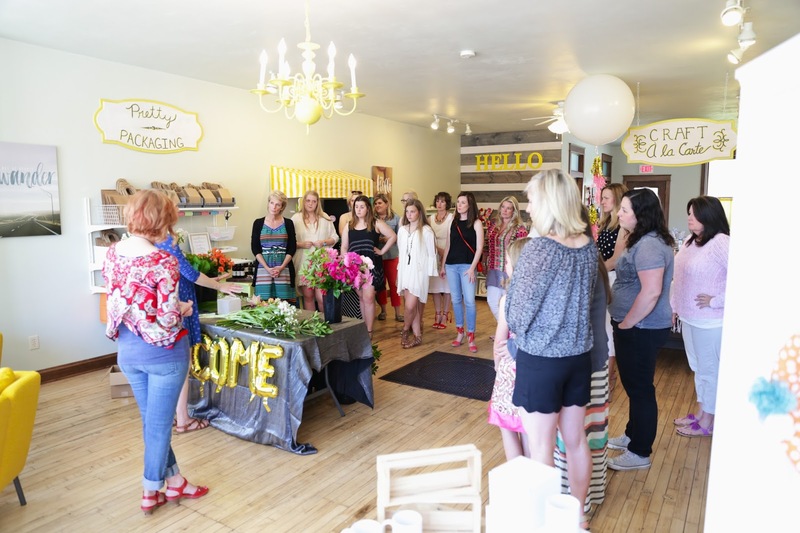 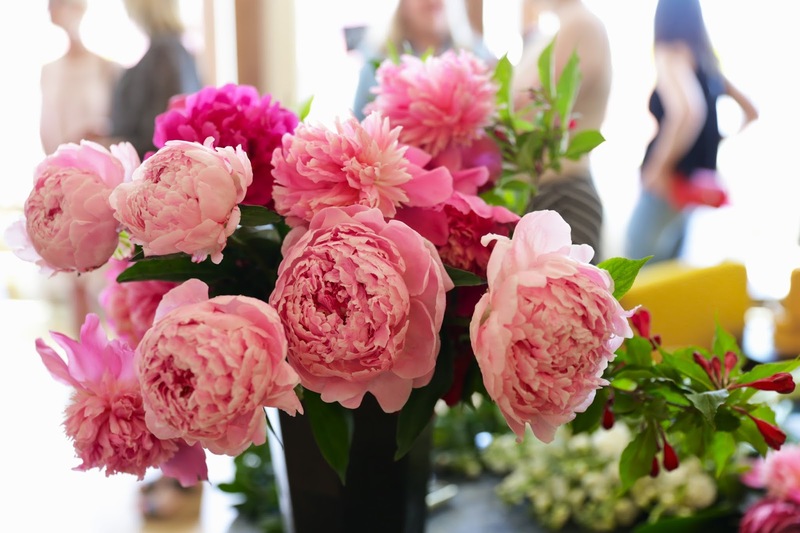 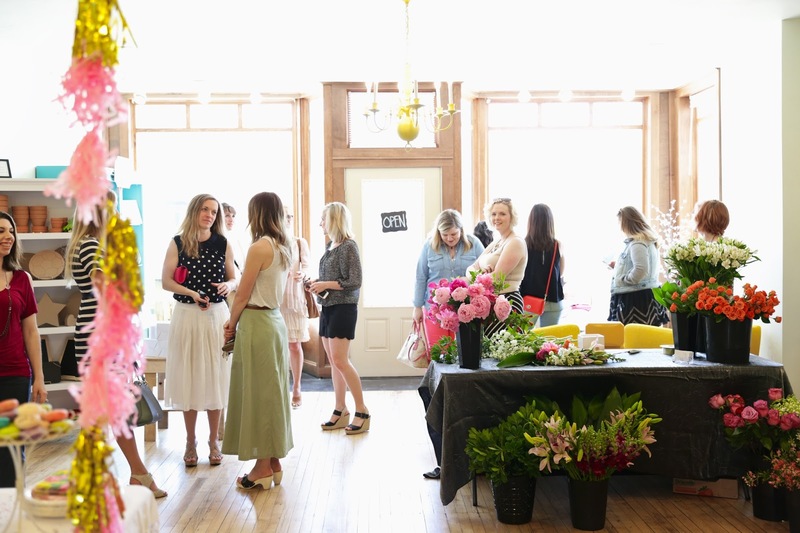 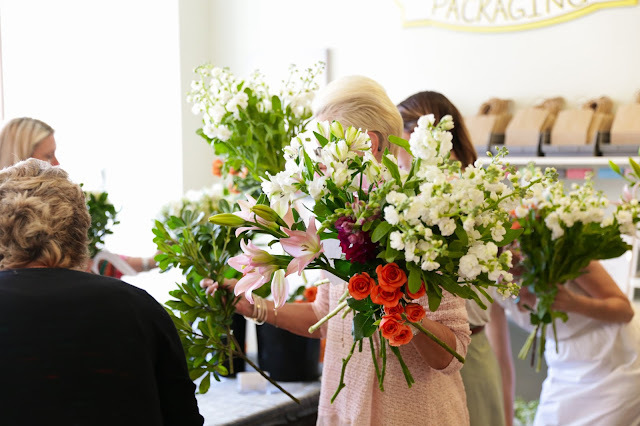 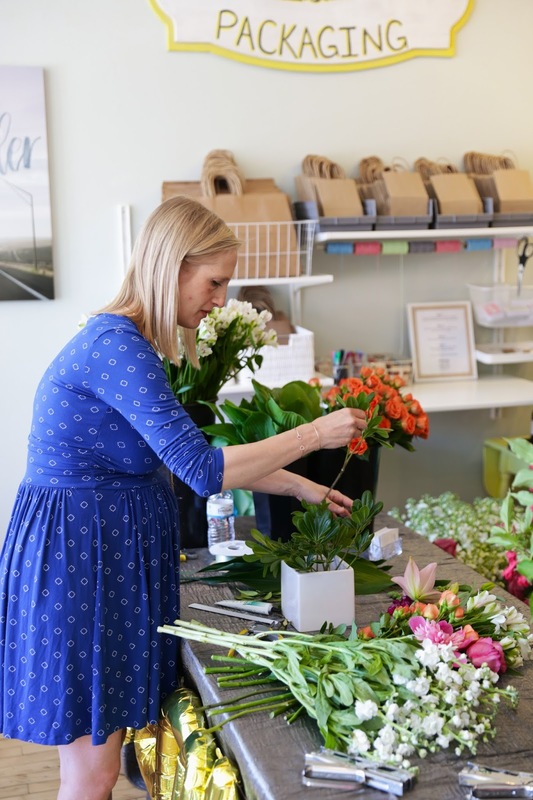 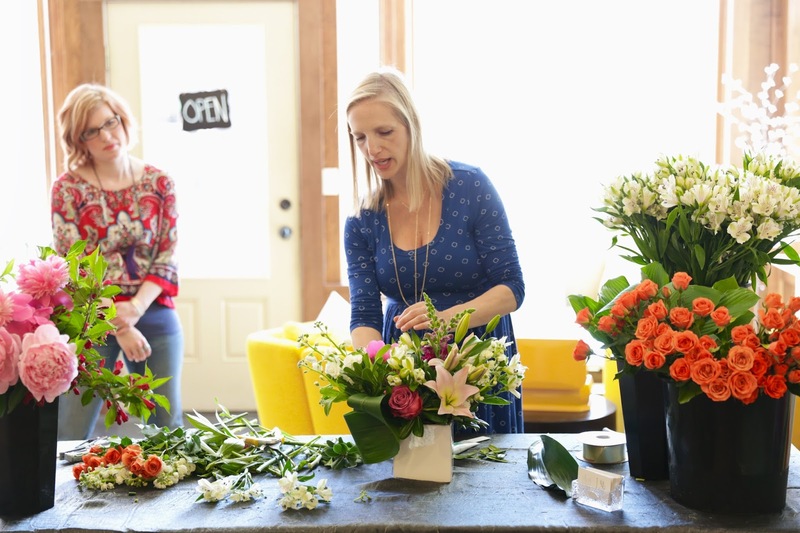 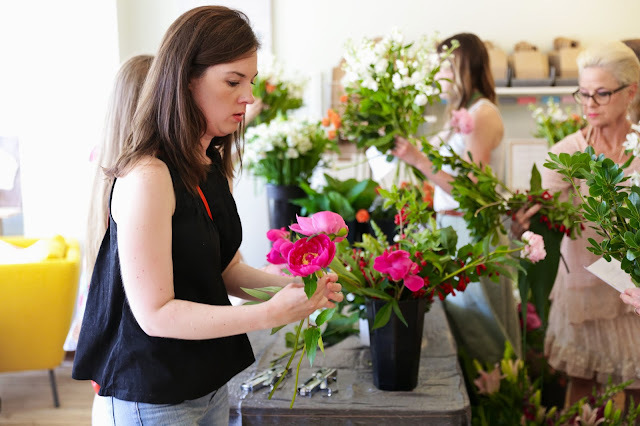 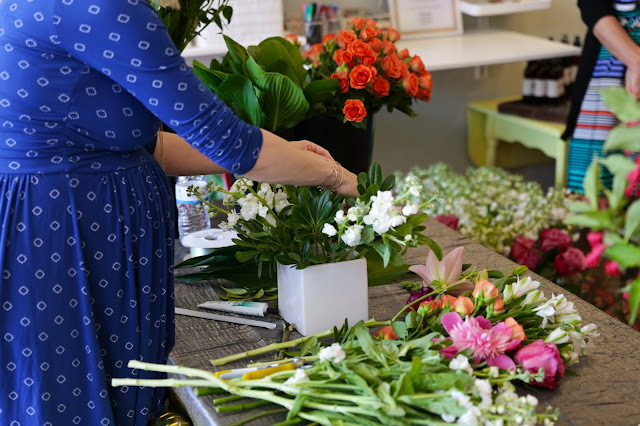 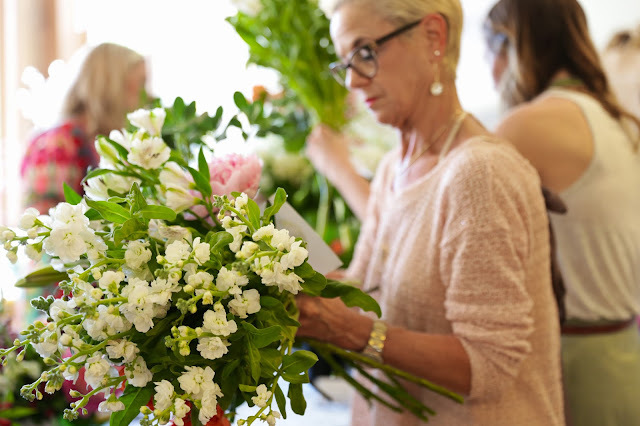 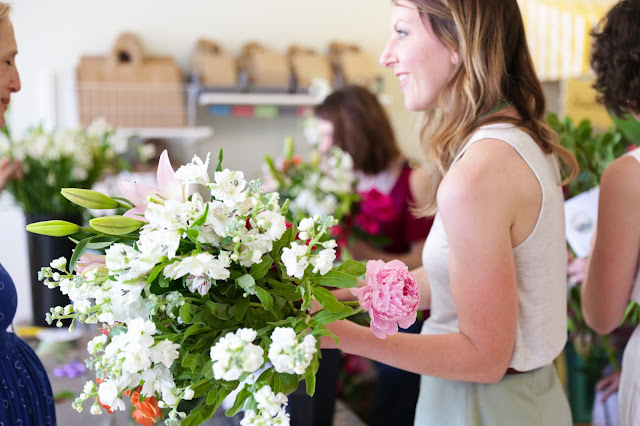 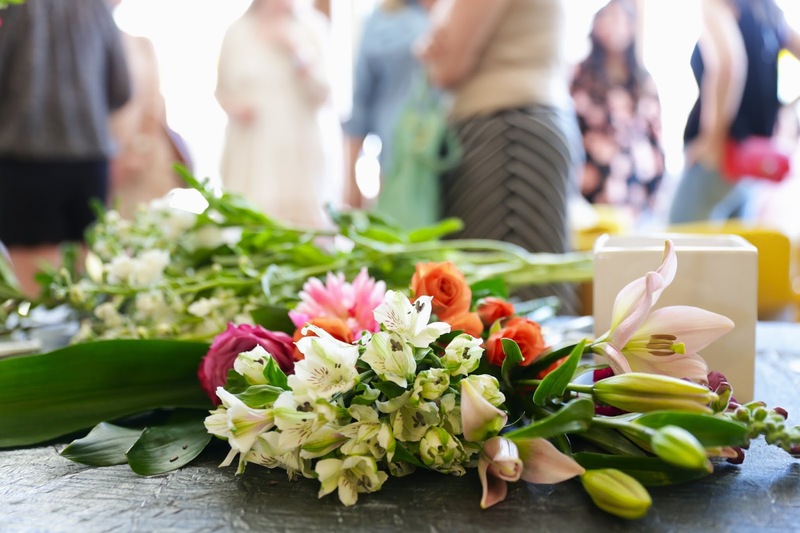 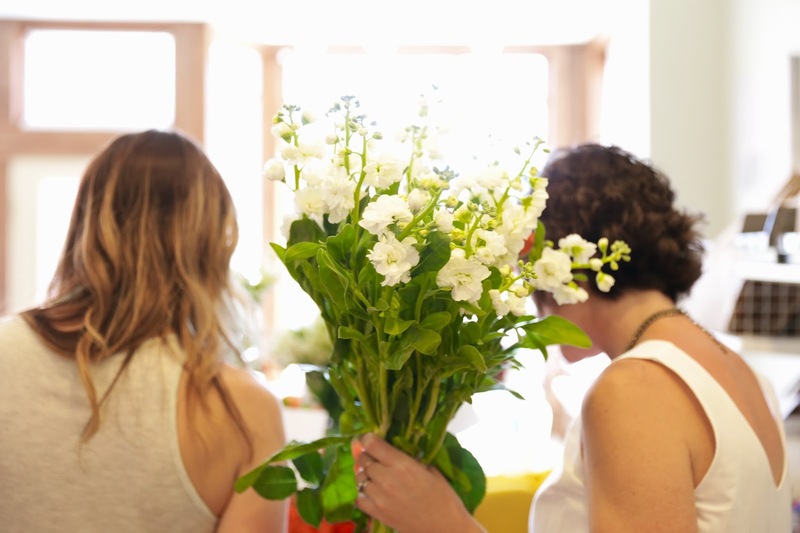 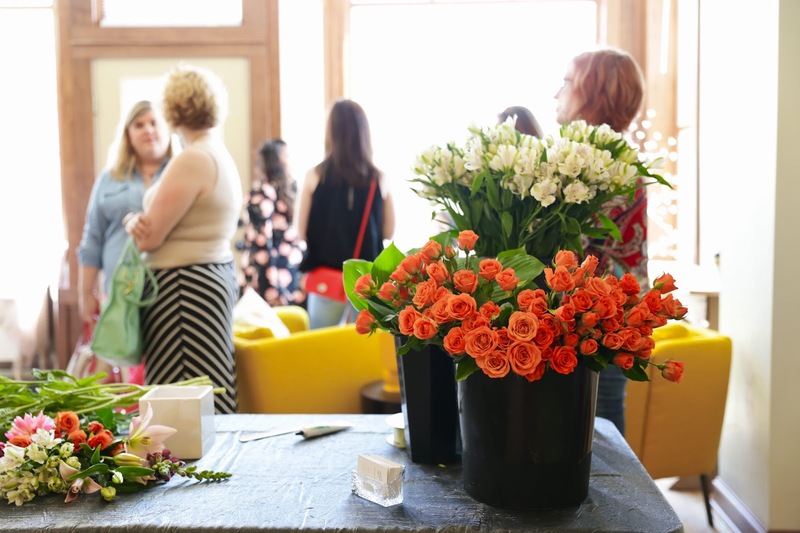 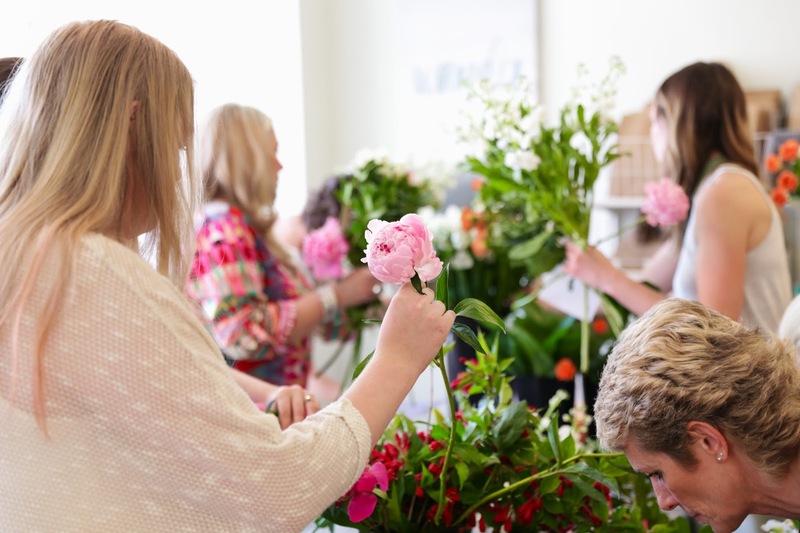 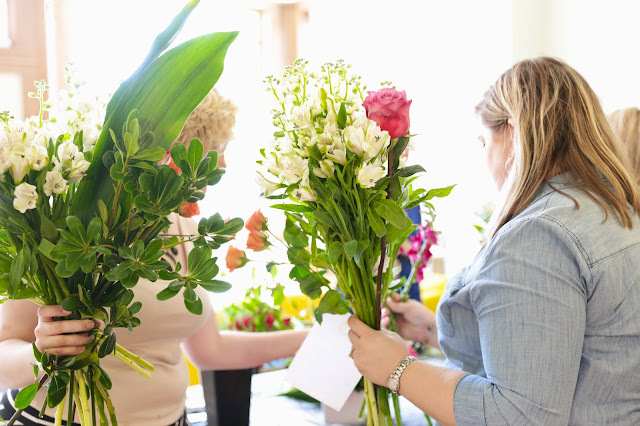 The best part of our floral workshops, along with all the gorgeousness that comes with anything that includes fresh flowers, is the chance to collaborate creatively with others and connect with other women here in Green Bay. 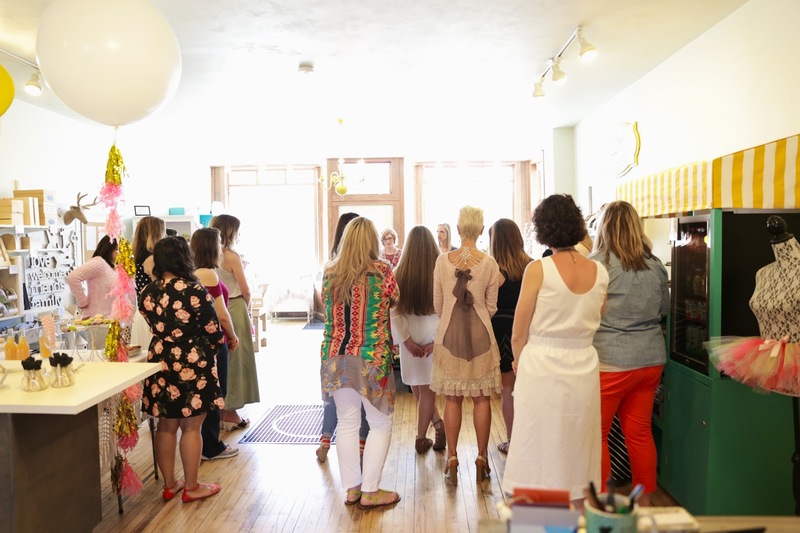 Well, honestly, there's so much goodness here, that I'll have to share it in two posts! These summer florals have to be my absolute favorite. 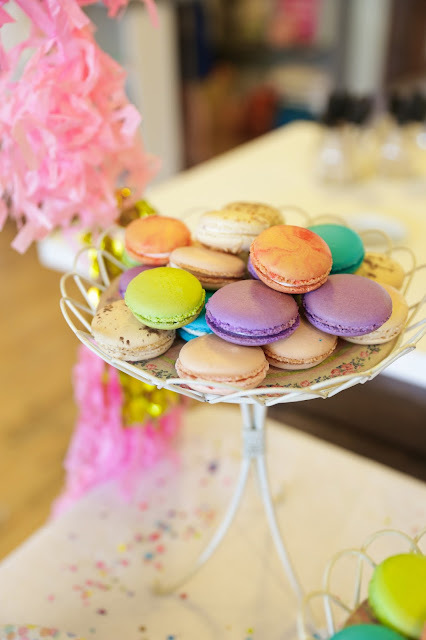 The colors alone! 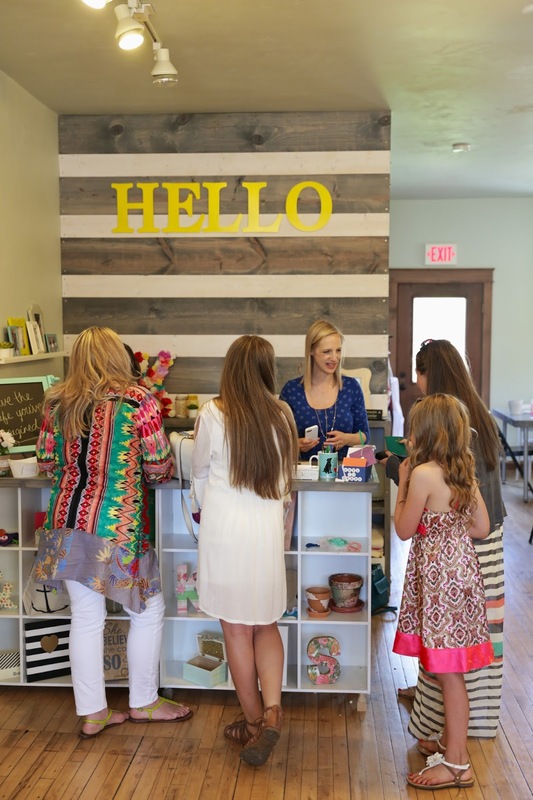 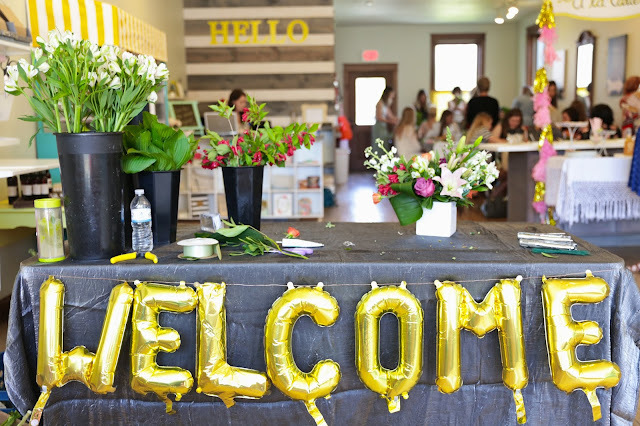 First up, take a look around the adorable Hello Lemon Studio, all decorated for our event. 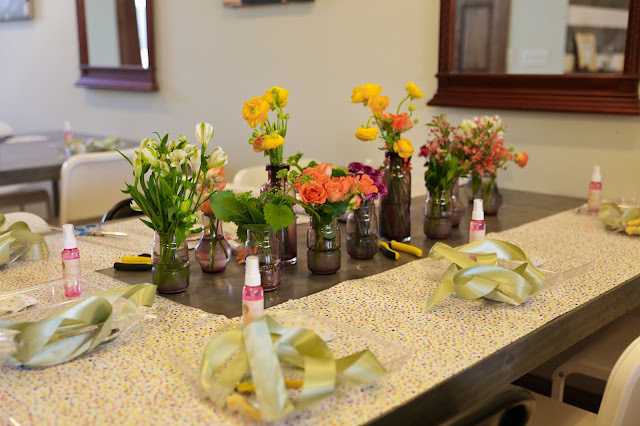 And then you'll see Sunny beginning her tutorial on the recipe for creating a beautiful bouquet for your tabletop and also a flower crown for all those romantic hippies at heart. 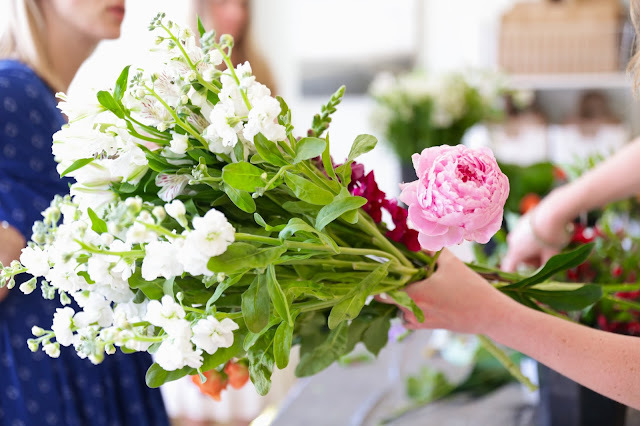 ;) And then you'll notice all the ladies picking out their flowers which look incredible just as is. 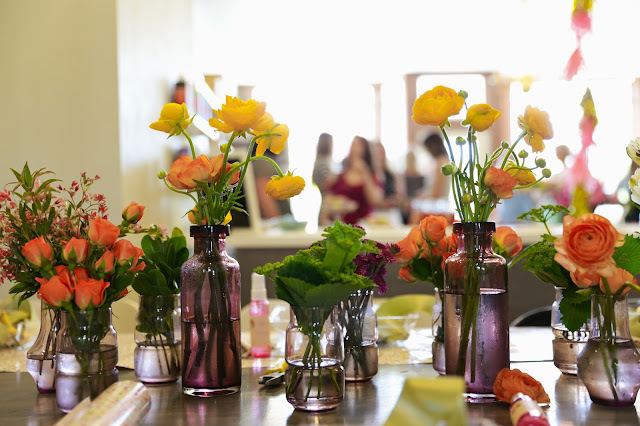 That's as far as we'll go for now and tomorrow I'll show you their masterpieces (plus the goody bags)!